If you are going through divorce, you might be worried about how things are going to work out financially. 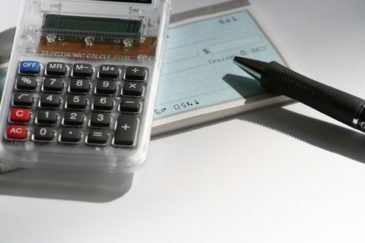 If you have been wondering about New Jersey spousal maintenance, or alimony, please call our attorney to learn more. I often get people that come to the office, and say, “I’ve Googled alimony, and I want to know, how does it work? How much do I have to pay? How long do I have to pay?” Those are always the primary considerations, but do you have an alimony case? Alimony is such a big-ticket item in the divorce. The legislature here in New Jersey recently amended our alimony statute. Essentially, we have two components to alimony. We have cases where we’ll have limited duration of alimony, where you’re going to get alimony for a finite amount of time. Then we have open duration alimony, where there’ll be other triggers that will determine how long the alimony will continue. The how much, it really does depend on the facts of your case. You have a primary wage earner, and maybe one spouse stayed home. The spouse that stayed home, is he or she entitled to maintain the standard of living, which you hear many people say? Something that looks like the standard of living during the marriage, but alimony is based on need; it’s based on the ability to pay, and it’s also based on the marital lifestyle. There are many factors that you want to discuss with your attorney regarding whether you even have an alimony case, and if you do have an alimony case, how much and how long. New Jersey Spousal Maintenance | Who Pays? You’re typically going to see alimony in a case where one spouse was the financially dependent spouse and one spouse was the wage earner. It doesn’t mean that one spouse necessarily stayed home and was the primary caregiver of the children. It could be a case where there’s a disproportionate earning capacity; one spouse is earning two times what the other spouse is earning. That spouse, the dependent spouse I’m going to call that person, is going to need some financial assistance from the higher wage earner in order to move forward in their life. It might be for a finite amount of time; it could be for an open duration amount of time. The facts are going to depend on the family circumstances. If you have any further questions about New Jersey spousal maintenance, please call our dedicated New Jersey divorce attorney Tanya Freeman. This entry was posted in Alimony, New Jersey Family Law Blog. Bookmark the permalink.